Howie Schultz, the other Dodger first baseman supplanted by Robinson, was 6 feet 6 inches. He later played on N.B.A. championship teams with the Minneapolis Lakers. He died in 2009. Dodgers are home after a 7-3 road trip! Great job guys! Remembering John Wooden and Kirk Gibson’s Famous Homerun. I remember meeting Mr Wooden. The first time was a UCLA-USC bball game in 1970 or 1971. The game was part of the miracle 88 game win streak. I still have the ticket stub and program in a box somewhere. My dad took me to 5 of those 88 games, and I still have the old tickets saved. The attached picture is the program and ticket stub from victory #71 of the 88. Paul Westphal, the USC guard, dove for a loose ball heading out of bounds and ended up knocking me backwards from my front row student section seat under the basket at Pauley Pavilion. It was near the end of the first half. When the teams took the court to warm up for the 2nd half, Mr Wooden came over to check on me. “Young man, are you OK?” he asked. All eyes in our immediate area were now on me. I fell speechless and could only look at my dad. “It looked like you took a took quite a fall” he half told me and half told my dad. I mumbled that I was fine, and I asked Mr Wooden to please beat USC for me. “With great pleasure!” he assured me, tipped his rolled up program/notes at us, and headed back to his coaching seat. I did get Paul Westphals autograph on my program when he was done with 2nd half warmups. He remembered clobbering me. I should have got Mr Woodens autograph too. I remember seeing Mr. Wooden at Dodger Stadium. He used to call Joe Torre. 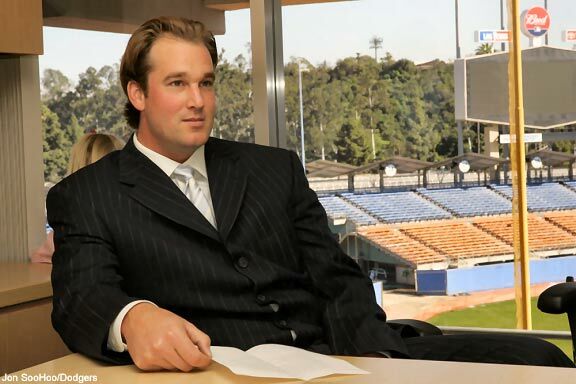 Wish he was still around so he could call Don Mattingly. 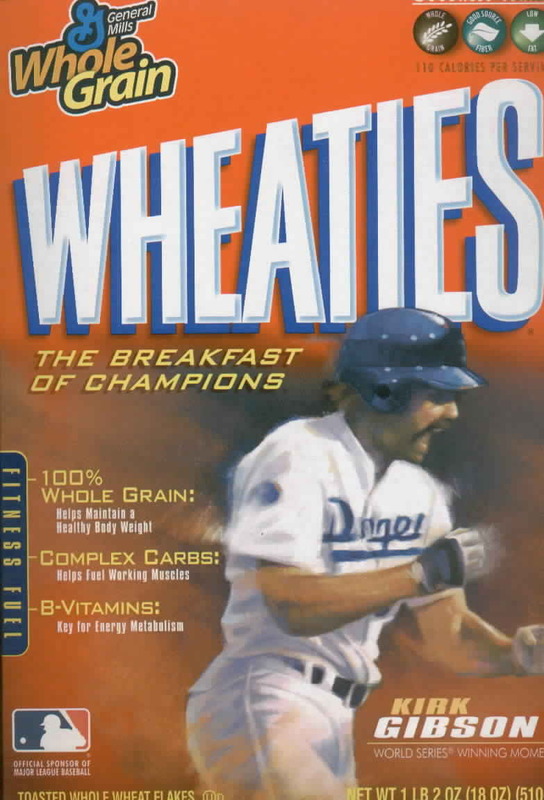 Today October 15th is the 22nd anniversary of Kirk Gibson’s homerun in the 1988 World Series. 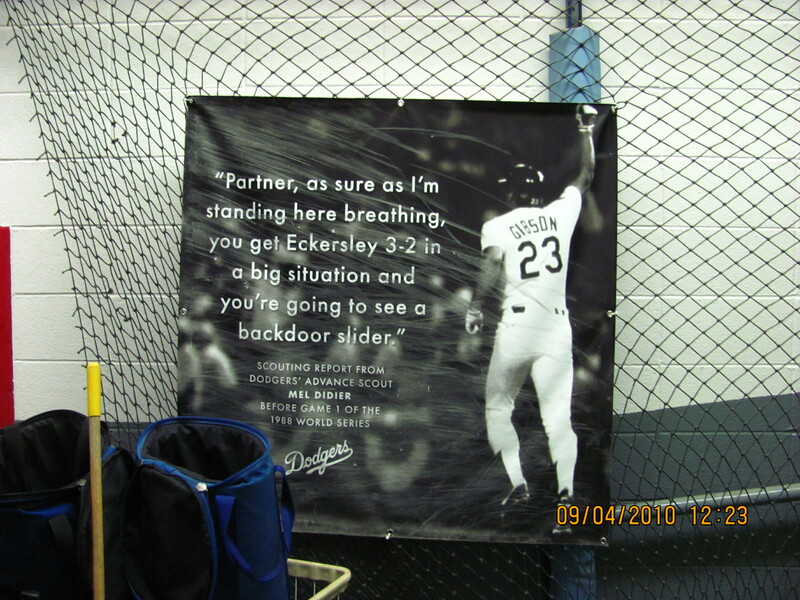 That is what I should have taken to Dodger Stadium to have Kirk Gibson signed! My World Series program! Why couldn’t I think of this before!? OK, God willing, I will have an opportunity to have Gibby sign this next year. My Spring and Summer home is officially closed for the season but I’ll stop by a couple of times during the off-season to keep an eye on it. 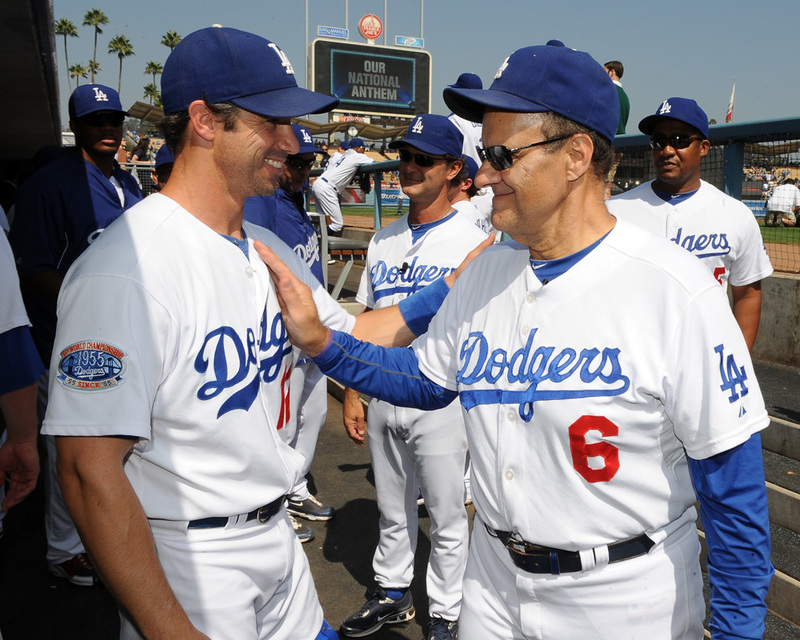 Joe Torre and Brad Ausmus. Good luck to two classy guys! last pic by Jon Soo Hoo. I’ll miss alot of people from the stadium including the batting practice group that includes Deuce, William (Deuce’s dad), Syliva, Dee, Cari, Kristin, Gordon, Pat, Norma, Rosa, Ronnie and of course my Top Deck Friends! that includes you Erik! good luck to everyone in the postseason. I am looking forward to watching some good baseball. Let’s go D.Lowe! Beat those Jints! 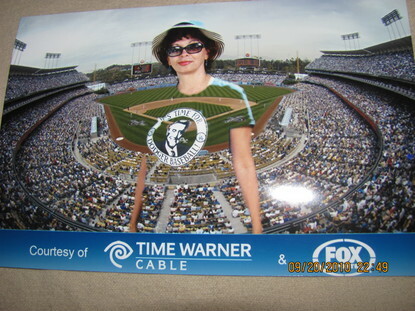 Let me know if anyone wants a Dodger Calendar. I have a couple of extras. So far this homestand we are 2-3. Not good. We split the four game series with Arizona. I really thought we would take the series. 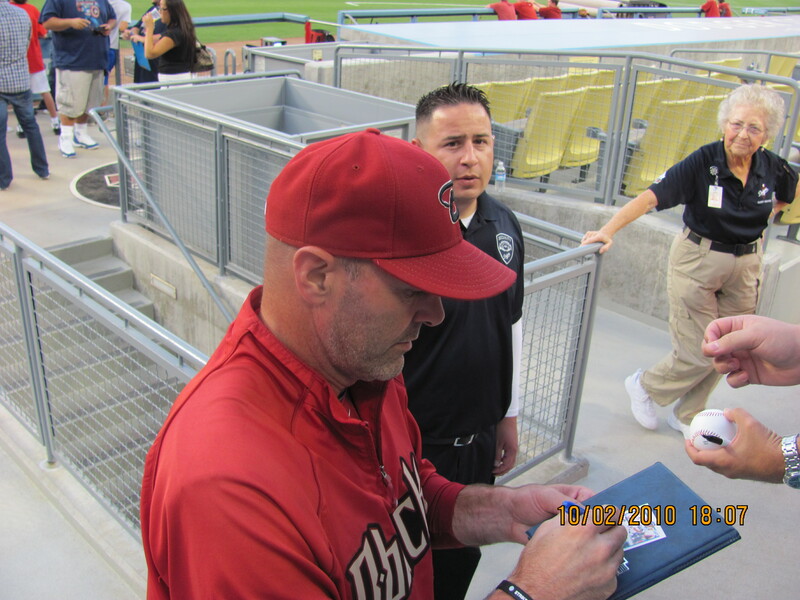 One of the best things of the D’backs being in town is getting to see Kirk Gibson. 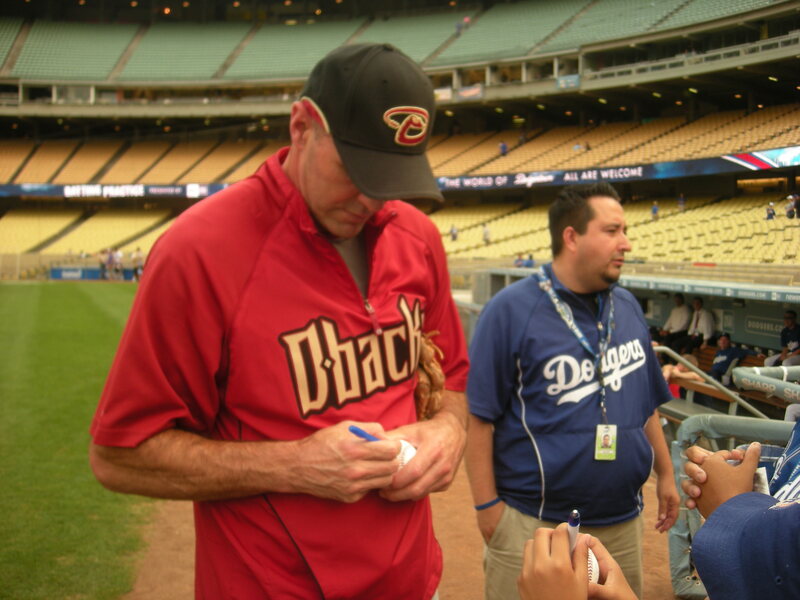 Gibby is so nice that he comes over to the Kid’s corral and signs for us fans. Last year the D’backs happen to be in town during the 80’s celebration day. Kirk Gibson took the time to show up at the 80’s luncheon held in the Club Level restaurant. We had quite a few players from the 80’s but the big surprise was Gibson. Gibby mentioned that it be nice if the seat where his famous 88 World Series landed be marked with his name. 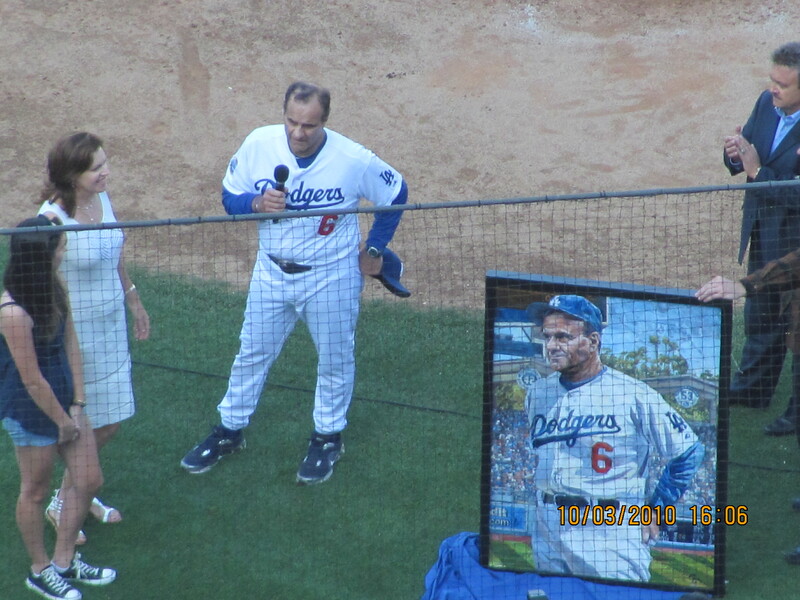 Now, wouldn’t that be nice to honor Gibby? When I got to the stadium and saw the matchup on the scoreboard of LeBlanc with a 9.75 ERA, I thought for sure my Dodgers can win BUT instead it was a frustrating loss. 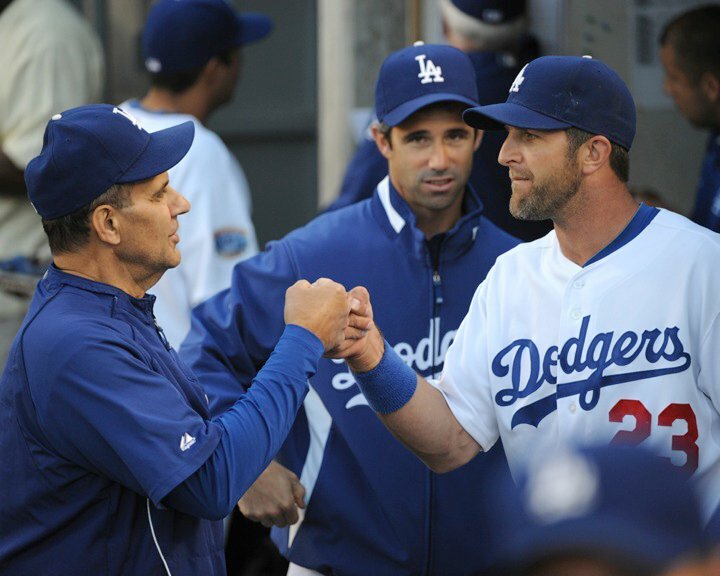 Dodgers were blanked out by the score of 2-0. UGH! Ten men were left on base. Pathetic display! 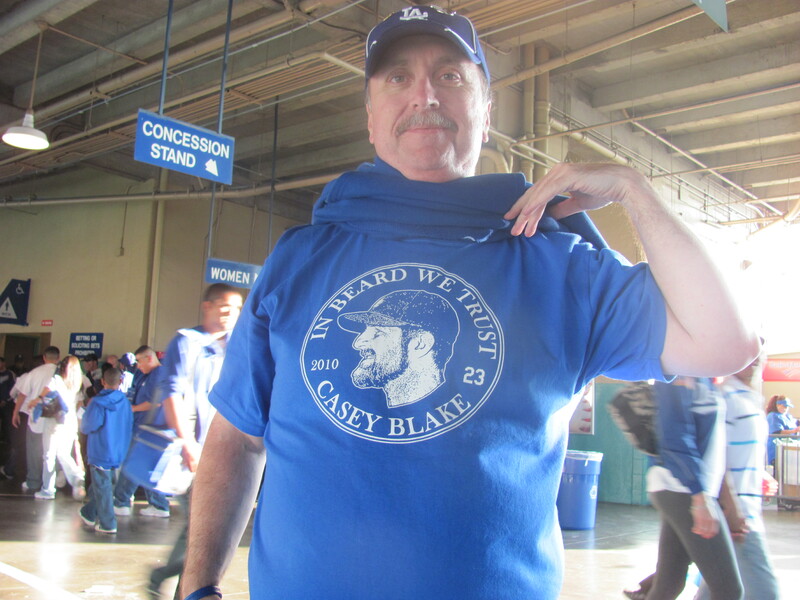 Clayton Kershaw has had 8 runs support in his last 9 starts. Just pathetic hitting lately. I still can’t believe it! Zip, nothing, nada zero runs. 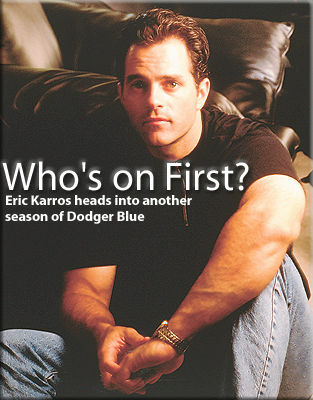 Oh, I almost forgot the two errors in the same play. Just pathetic. Randy Wolf goes Saturday! Hopefully the wolfman can restore order and be the stopper he has been lately. 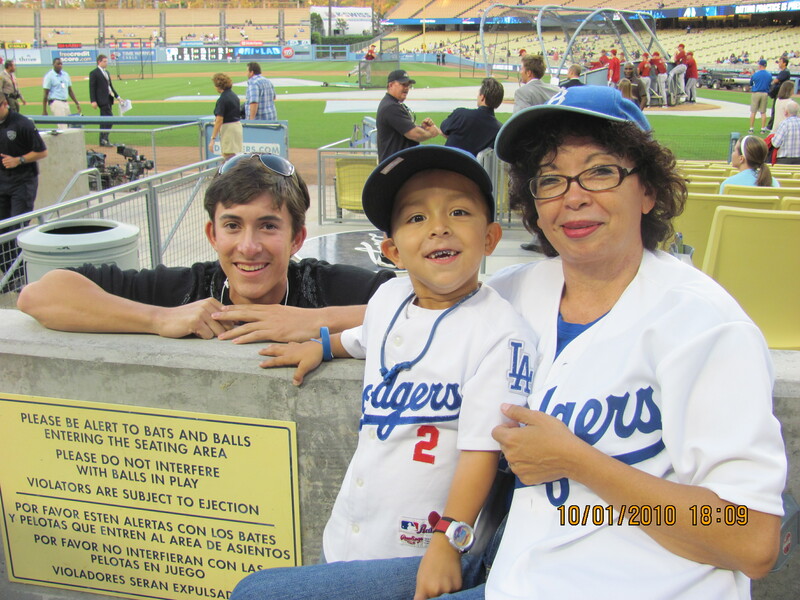 Saturday is also the Viva Los Dodgers Festival. I have been attending a few of these events in the past. 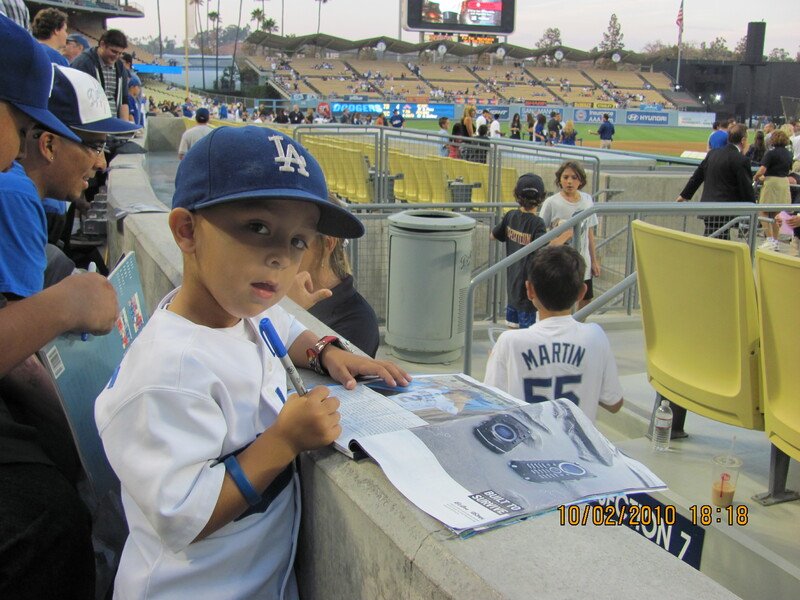 There is music, games for kids, vendor booths from Dodger sponsors with giveaways an contests. Also there is autgraph booths with players rotating in the booths. Jaime Jarrin, Fernando Valenzuela and Pepe Yniquez also participate in this event. The game will start at it scheduled time of 7:10 p.m. so for us that are going to both the festival and the game it will a long day/night at the stadium. Tomorrow is also another segment of “This is my Town”. This time is to honor the Mexican community so the shirt will be in Spanish “Esta es my Ciudad” Buying tickets in this section entitles you to the t-shirt and an All you can eat. The menu includes guesadillas, lime chicken, watermelon and the standard nachos, Dodger Dogs, and non-alcoholic drinks.